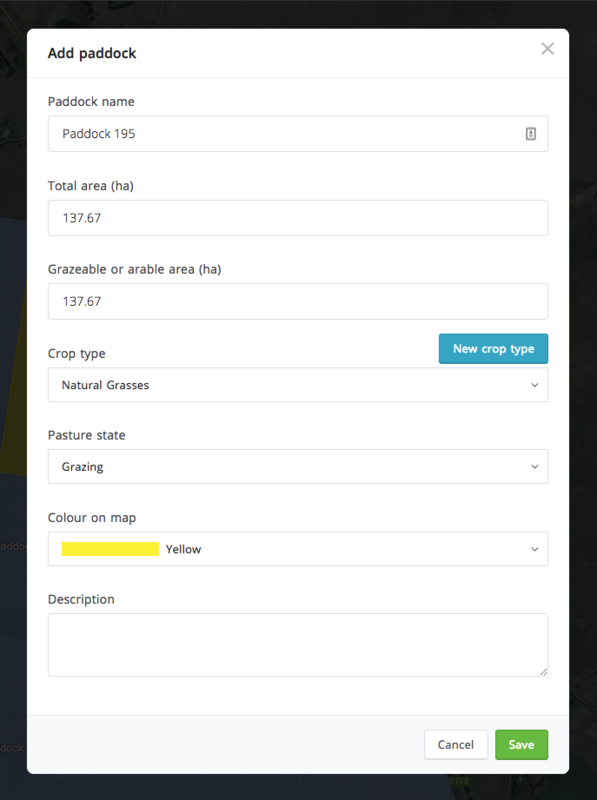 Want to make changes to a paddock? Editing a paddock is very simple! In the Portal, you are able to make changes to the paddock area by editing its boundary lines. 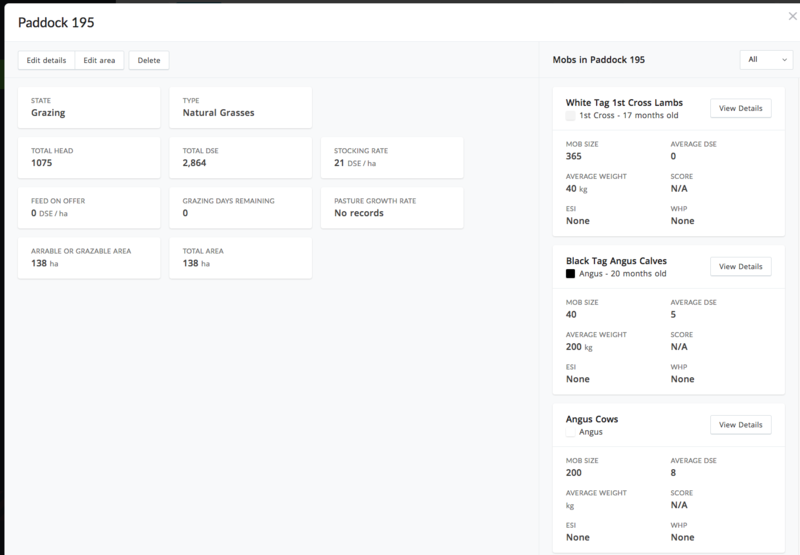 You can also edit the paddock details, such as its name and colour. 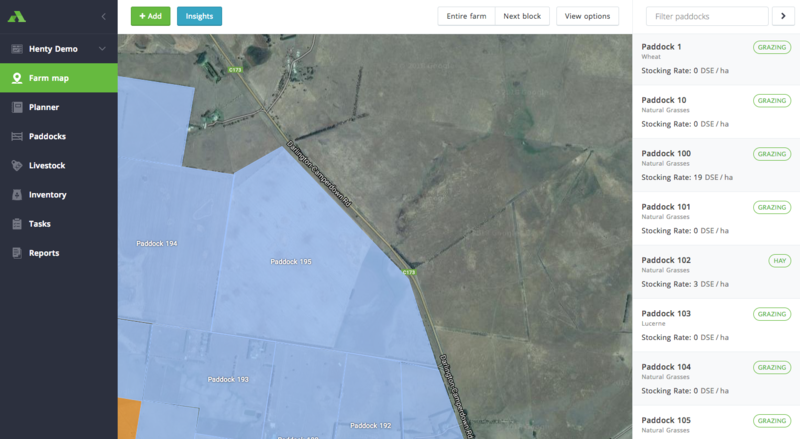 3. click Edit area at the top of the paddock summary, the map display the selected paddock in edit mode. 4. 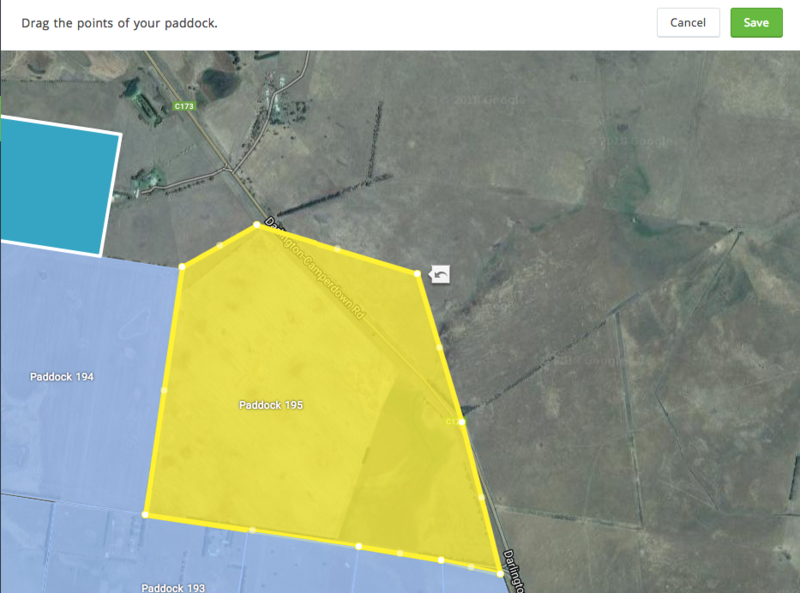 Drag the points of your paddock to adjust. To remove a point, click on it with the right mouse button. 6. Select Save to save your changes or Cancel to discard them. 5. Edit details as required on the paddock details form then click Save.